In the following article, we will take a closer look at three small-cap stock picks found in the equity portfolio of Ray Dalio’s Bridgewater Associates. As revealed by its last 13F filing, the hedge fund was particularly bullish on ENSCO PLC (NYSE:ESV), United States Steel Corporation (NYSE:X), and Denbury Resources Inc. (NYSE:DNR) last quarter. 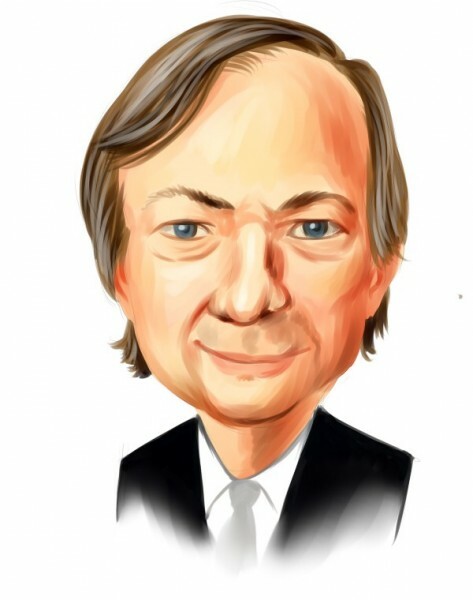 Bridgewater Associates was launched in 1973 by Ray Dalio, who ranked as the world’s biggest and best-performing hedge fund manager in 2010 and 2011. A few years ago, Mr. Dalio stepped down from his position as CEO of the Westport, Connecticut-based firm, and now serves as co-CIO, alongside Robert Prince and Greg Jensen. However, the highly respected hedge fund manager still holds considerable sway at his firm, as he has taken on the role of “mentor”. Bridgewater Associates operates in the public equity markets, and employs fundamental analysis to pick its stocks. As of last quarter, the hedge fund’s equity portfolio was valued at $12.52 billion, down from $12.80 billion reported at the end of the third quarter. Following the moves made by hedge funds is a great way to seek out smart investment opportunities, as their historical 13F filings offer extensive information regarding the performance of their stock picks. By tracking the activity of these investment firms, we have concluded that investors should mostly stay away from the large-cap stocks in these fund’s portfolios, which are more efficiently priced by the market, and thus tend to deliver relatively poor returns compared to small-cap stocks. Hence, smaller investors trying to beat the market by a large margin will get nowhere by imitating the large-cap picks of hedge funds. On the other hand, our small-cap hedge fund strategy has returned 132% since its inception in August of 2012, through March 11th, 2015. Considering the S&P 500 ETF (SPY) delivered returns amounting to 52.6% during the same period, our small-cap stock picks outperformed the market by 79.4% throughout these 2.5 years. Following the purchase of 402,800 shares last quarter, ENSCO PLC (NYSE:ESV) ranks as one of Bridgewater Associates’ top small-cap stock picks. The hedge fund’s position in the company amounts to 546,400 shares, valued at $16.37 million at the end of 2014. The stock’s share price has dropped around 59% over the past 52 weeks, in tune with the overall poor performance of the oil & gas drilling sector, which plummeted 46.5% during this one year period. Nevertheless, Bridgewater Associates has reason to remain optimistic, as the company boasts a relatively strong balance sheet and is still quite profitable. ENSCO PLC (NYSE:ESV) pulled in $2.06 billion in cash from operations last year and registered full year operating income of $1.82 billion. Joe Huber’s Huber Capital Management is also betting on the company and owned 3.52 million shares, while Israel Englander’s Millennium Management disclosed ownership of 1.93 million shares at the end of 2014.